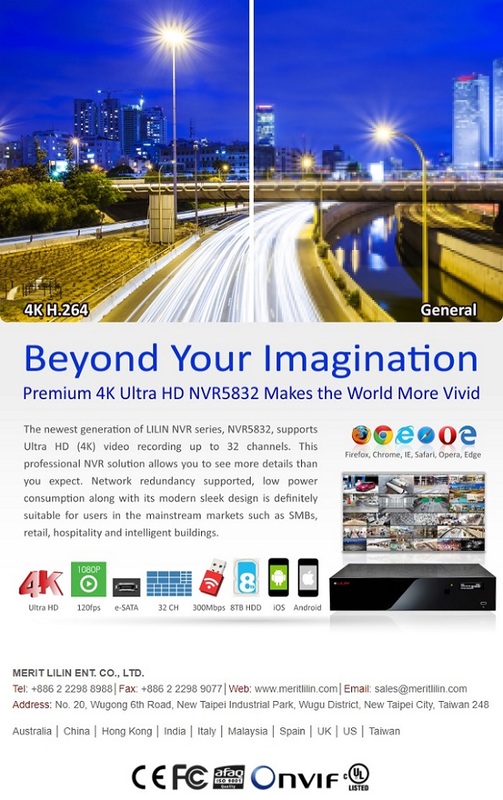 The newest generation of LILIN NVR series, NVR5832, supports Ultra HD (4K) video recording up to 32 channels. This professional NVR solution allows you to see more details than you expect. Network redundancy supported, low power consumption along with its modern sleek design is definitely suitable for users in the mainstream markets such as SMBs, retail, hospitality and intelligent buildings.